1991-92 Fleer Basketball is not a set that I’ve devoted much time to, but I recently purchased a 3200 count box in effort to find a mint Larry Johnson rookie (yeah, I know). 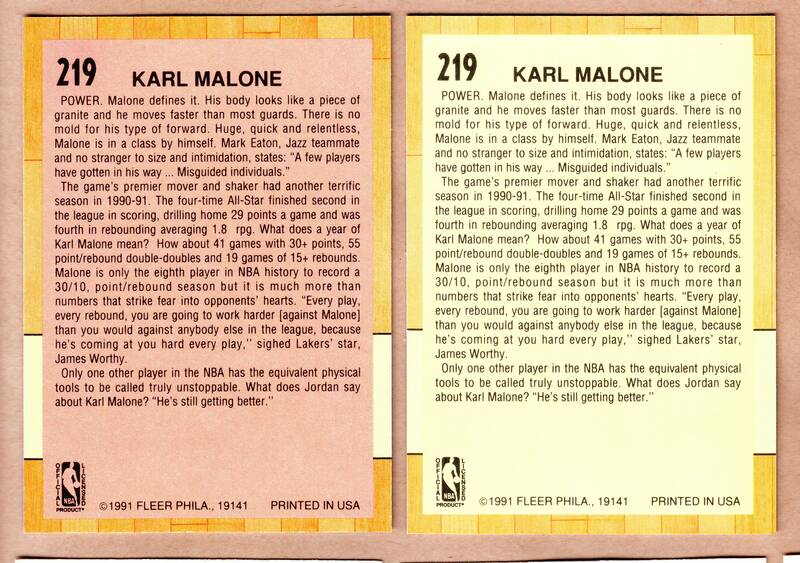 While sorting through the cards, I found a large chunk of the series 1 All-Star issues and noticed that several can be found in two varieties: 1st variety has a pink background behind the text on back (common), the 2nd variety has a yellow background behind the text on back (scarcer). As of this post, I have not been able to confirm that every player is affected by this variation.